Linkin Park‘s Mike Shinoda surprised fans at his first solo festival gig over the weekend with a somber performance of the band’s Hybrid Theory hit “In The End.” Watch the emotional live tribute to late Linkin Park singer Chester Bennington below. 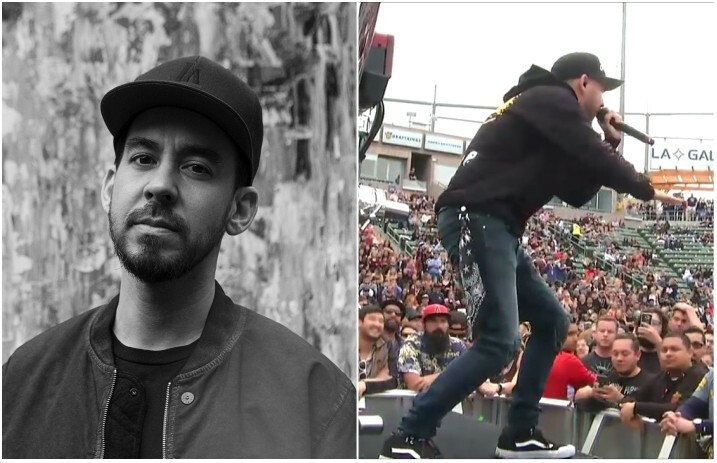 Shinoda had a busy weekend with the live debut of his new solo material, performing at KROQ’s annual Weenie Roast on Saturday, May 12, and the Identity Festival on Sunday, May 13. As evidenced in fan-captured footage from Saturday’s set, Shinoda offered a bittersweet tribute to Bennington in the form of a sparse, piano-and-vocals version of Linkin Park’s “In The End”—which he says is closer to the group’s original intention for the tune. Elsewhere in the performance, Shinoda unveiled live versions of new solo tracks such as “Place To Start” from his recent Post Traumatic EP, as well as cuts such as “Crossing A Line” from his upcoming solo full-length debut, also called Post Traumatic, out June 15. Chester Bennington unexpectedly died last year, at the age of 41, in what was later ruled a suicide. While Shinoda has been slowly unveiling his first new solo material since the tragic death, he has recently said there’s “really just no answer” in regards to the future of Linkin Park, according to an interview the musician did with Vulture.